Announcement PLEASE BE AWARE ALL ORDERS CAN TAKE 1-2 WEEKS FOR PRODUCTION BEFORE SHIPPING! THANKS! 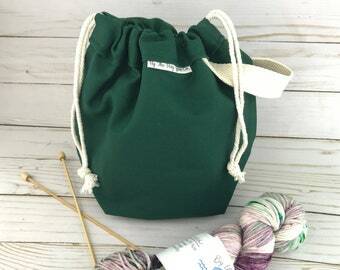 By The Bay Yarn Co. bags and hand dyed yarns are all created with love deep in the heart of Texas! I am a one woman show located on the Galveston bay. I am a Texan, born and raised! All of our bags are made of heavy canvas. There are no raw edges ever and they are sewn to be sturdy and long lasting. I have been professionally sewing for over 20 years and sewing my whole life. Sewing has been passed down for generations in my family and I am proud to employ my daughter now too in our business! For WHOLESALE inquiries, please email me at bythebayyarnco [!at] gmail.com anytime! Please use this link to sign up for our Newsletter! PLEASE BE AWARE ALL ORDERS CAN TAKE 1-2 WEEKS FOR PRODUCTION BEFORE SHIPPING! THANKS! By The Bay Yarn Co. hand dyed yarn is created here near the Galveston Bay! My name is Wende and I am the Seamstress/Dyer behind By The Bay Yarn Co. 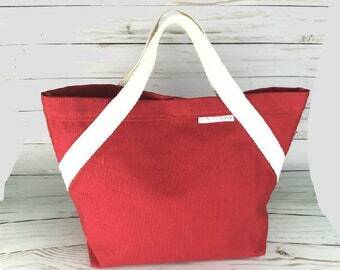 I design Canvas Project Bags for knitting, crochet and other fiber projects! 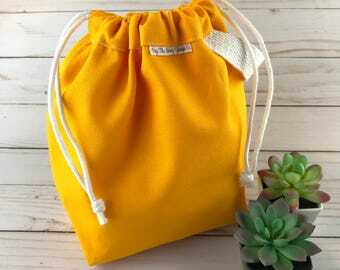 Our bags are designed from heavy cotton canvas with a cotton cord drawstring and cotton webbing handle. Unlike waxed canvas bags or bags with leather parts, our bags are completely washable (and Vegan!) We suggest hand washing and hang drying for best results. They are perfect for collecting pins and now can be monogrammed! I also hand dye yarn on occasion. Please check our shop for availability. I have been sewing for over 30 years and have made everything from Victorian costumes, theater costumes, home decor, children's boutique clothing and lots more! Please feel free to contact me with any question anytime! You can visit my other Etsy shop at www.etsy.com/shop/whimsicalwende where I have custom order Disney Princess Dresses for Magical Vacations! I have been selling on Etsy since 2012 and sewing for over 20 years. I have been knitting for about 5 yrs. I will do my best to keep up and follow all privacy policies as stated on Etsy and the GDPR. With policies changing quite frequently, be assuured I do not collect and keep any personal information used when you purchase an item and I do not sell the information to anyone.